How bright was it? 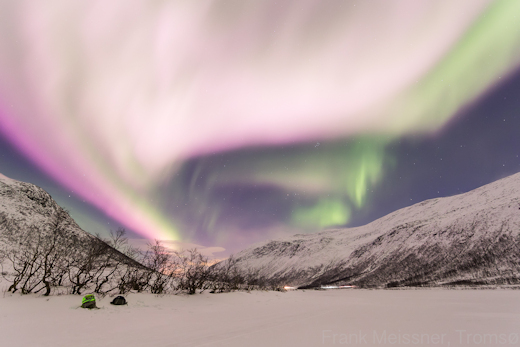 “The brightness of the auroras may be compared to the car lights in the background of my photo,” points out Meissner. This outburst was powered by a stream of solar wind flowing from a hole in the sun’s atmosphere. Such holes are common during Solar Minimum, and they require no sunspots to form. That’s why auroras continue throughout the 11-year solar cycle. The pink color of the outburst tells us something interesting about the solar wind on Nov. 22nd: it seems to have been unusually penetrating. Most auroras are green–a verdant glow caused by energetic particles from space hitting oxygen atoms 100 km to 300 km above Earth’s surface. 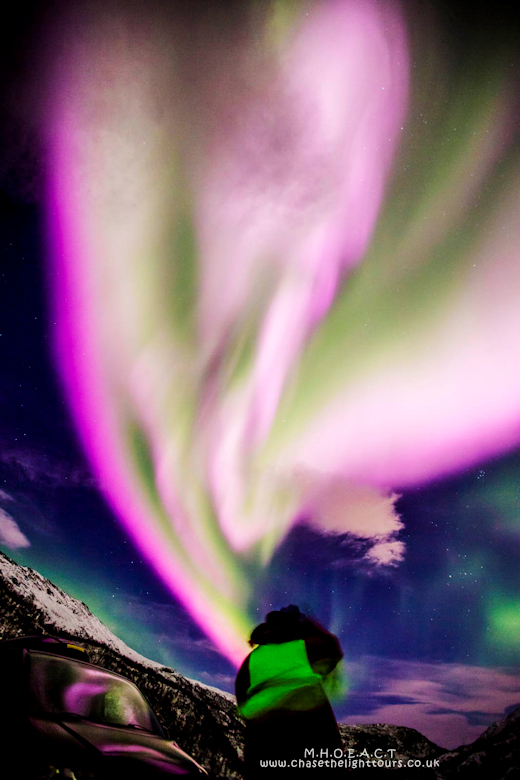 Pink appears when the energetic particles descend lower than usual, striking nitrogen molecules at the 100 km level and below.